Jazz great; pianist and poet -- via Clash. 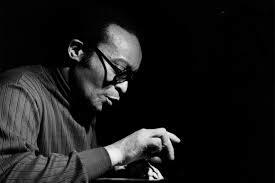 A brave and above all vital and interesting free-jazz pioneer; when he improvised on the piano, it was like reading a novel. Ben Ratliff's obit of Taylor in the New York Times is very good at getting at what he was about.